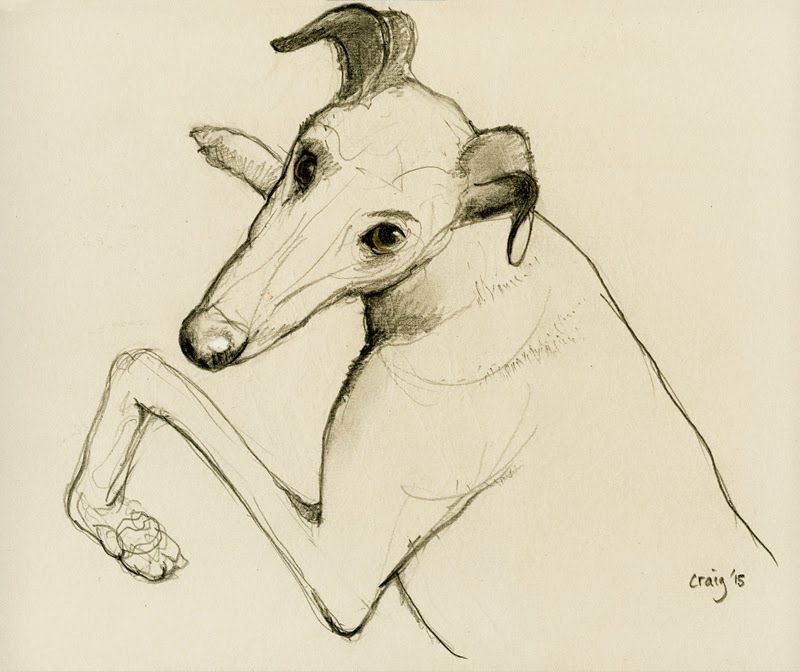 Drawing of my dog Rex, a 2 year old ex-racing Greyhound ("Mavero") we adopted in December through the Greyhound Adoption Program Victoria (GAP) . A wonderful companion. He is very calm (except when he has a "puppy moment") a bit shy but very affectionate. His previous trainer (Daryl Williams I believe) must have cared for him well.